KNIFEY was formed in 2016 by like-minded pals, Phil Linton and Max Trinz in downtown Toronto. The duo bonded over mind-numbing 9-5s, gluttonous weekend binges, and a revolving door of failed relationships. Together, they created beached, an eight song LP paying tribute to surfey punk and fast-paced guitar riffs. With it’s angst-driven lyrics and poppy basslines, beached, found streaming success on Spotify, with playlist adds such as “New Punk Tracks,” as well as press coverage. 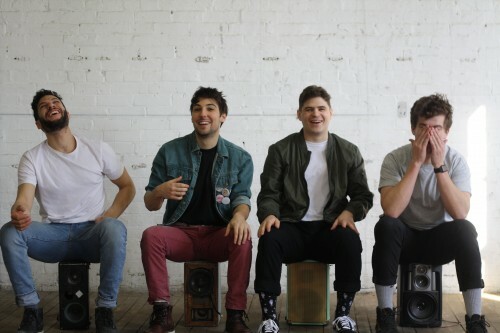 Their single Serf was featured on Indie 88’s ‘Your First Listen’ and it’s music video was featured on Altpress. 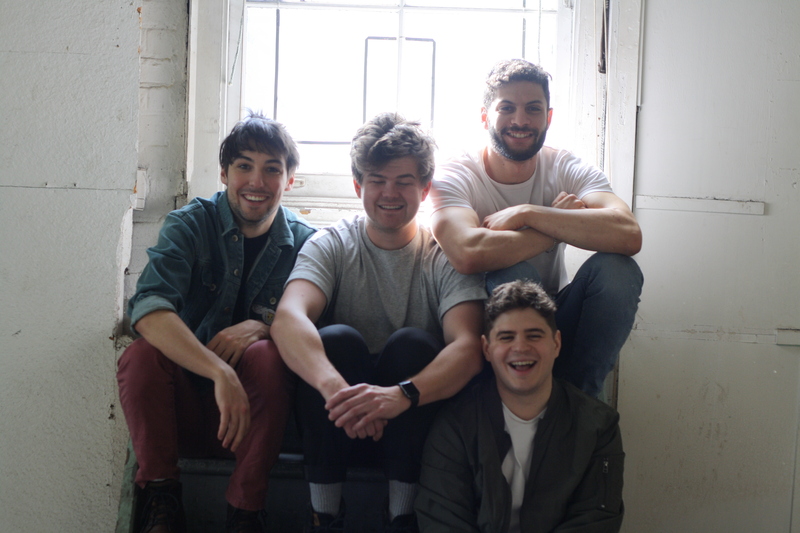 Following their debut, KNIFEY began playing frequently in Toronto and across southern Ontario supporting established acts such as Pkew Pkew Pkew, New Swears, and The Penske File. In 2017, KNIFEY met with Nixon Boyd (Hollderado), brimming with new demos. Together, they created a cohesive body of work – an 11-song LP, sleepwalker. In broadest terms, sleepwalker is a window into recovery. The album title refers to the stark realization that many of us have been wandering half-consciously through our lives: we’ve been drinking too much, looking at our phones too often, and taking the important thing – friend, family and health – for granted. Songs like Wasted and Ask You focus on the struggle to live better, more meaningful life after years of hard living in the city. Ultimately, it’s the highs and lows of that pursuit of the well-balanced life that is at the core of the album. 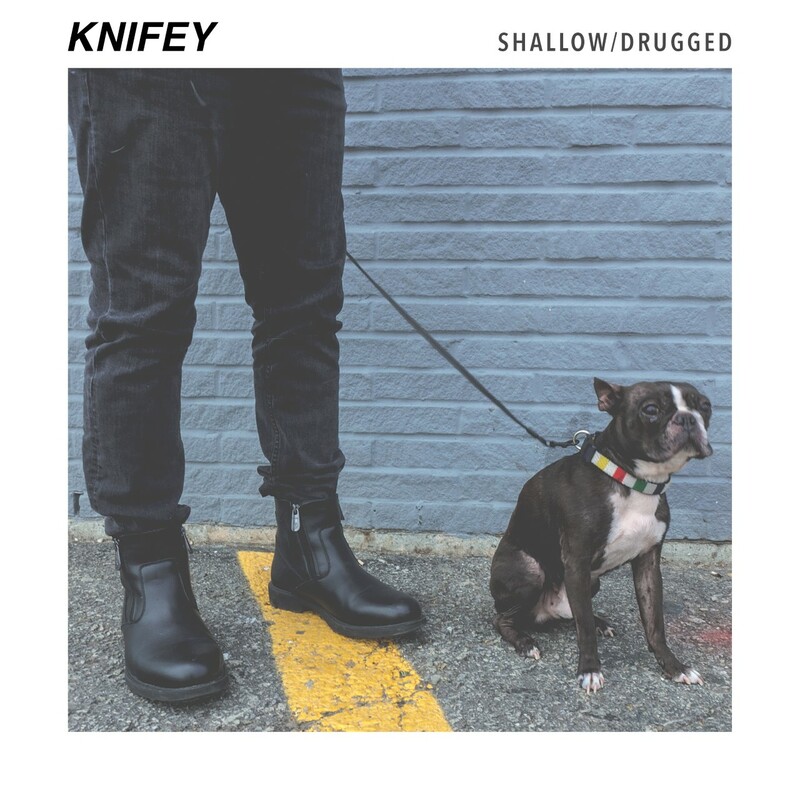 KNIFEY will be releasing the first singles from sleepwalker, shallow/drugged on May 3rd. Watch KNIFEY’s “Serf” video over at The Deli Magazine- Toronto! Watch KNIFEY’s new video for “Serf” over at What Happened To Your Band? The latest from KNIFEY and Tamtam are both featured in SoundChips’ Songs of the Week! PureGrainAudio.com embrace the ‘casual vibes’ of KNIFEY’s new video for “Serf” – watch now! PunKanormal Activity share “Serf,” the new video from KNIFEY! The latest from KNIFEY and Tamtam are both featured in thereviewsarein.com’s New Music Spotlight! Watch KNIFEY’s video for “Serf” over at ThePunkSite.com! Alternative Press spread the news of KNIFEY’s new single “Serf” – listen now! KNIFEY’s video for “Serf” premieres today at New Noise Magazine! Check out the new album review of ‘Beached’ by KNIFEY on Eclectic Music Lover! KNIFEY & King Park Music tracks included in Alternative Press’ 20 Tracks you need to hear this week! KNIFEY’s new LP is up on Punktastic as a Track-by-Track. Head on over to get the full insight! KNIFEY’s “Beached’ is now streaming in it’s totality over at the great Pure Grain Audio! KNIFEY premiering at idobi Radio! Check out the single ‘Serf’ now. Head over to Sound Fiction for a listen to KNIFEY’s new single ‘Summer Girls’. Listen to KNIFEY’s ‘Summer Girls’ on Pure Grain Audio! PREMIERE! New KNIFEY track is up on Punknews.org now! KNIFEY named Local Artist of the Day at PureGrainAudio.com! PunKanormal Activity shares KNIFEY’s new track ‘Rio’. The song is set to appear on their debut LP out Sept. 29th! ThePunkSite.com digs into the new KNIFEY track ‘Rio’! KNIFEY’s new single is a song for the summer and it premiered today at New Noise Magazine! New music from I M U R, KNIFEY, and Fake Shark in the latest edition of #BandsSpotted at Novella Magazine. SoundChips reviews the new KNIFEY single ‘Tanlines’. New KNIFEY single ‘Tanlines’ included in YabYum Music and Arts Monday roundup! Hear the new KNIFEY single ‘Tanlines’ at PunKanormal Activity. Hear the new KNIFEY single ‘Tanlines’ at PureGrainAudio.com! KNIFEY is back with new single ‘Tanlines’ premiering now at New Noise Magazine! Get acquainted with KNIFEY at Clunkmagazine. Debut single ‘Sophie’ out now! Debut single from KNIFEY is premiering at Punktastic today!